The story of steel-making in Youngstown was also the story of railroads, which transported raw materials to the mills and finished products from them. Almost every picture of the old steel mill complexes features a rail yard beside it. I first witnessed this as a youngster when my dad took me to the observation deck at the Gateway Yard offices and control tower, located between Campbell and Lowellville. 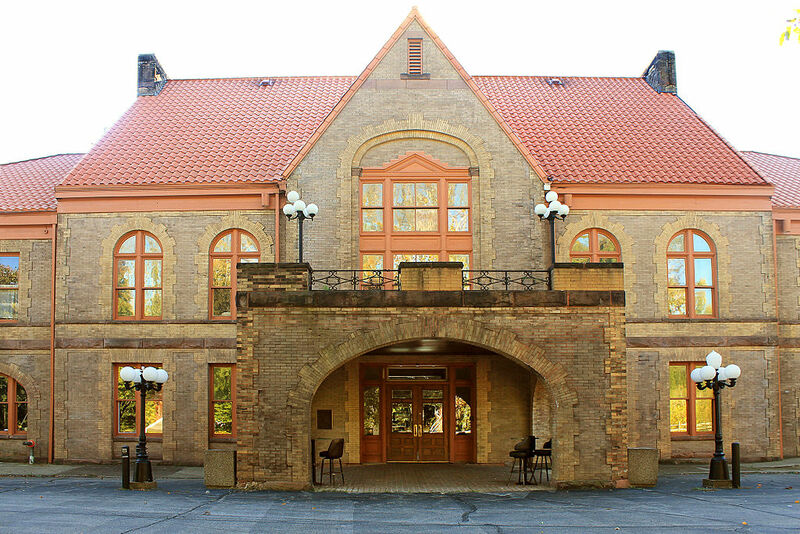 According to Wikipedia, the yard was operated by the Pittsburgh and Lake Erie Railroad, and it was used as a sorting and switching yard for freight cars with the Baltimore and Ohio, and New York Central Railroads. Youngstown Sheet and Tube, and Republic Steel had huge complexes nearby. 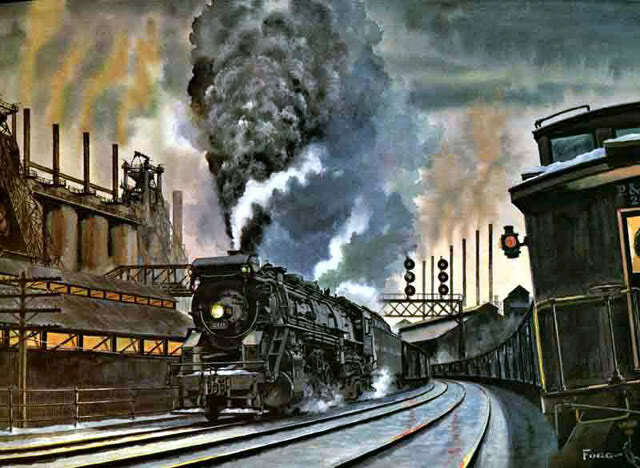 We were there at night and it was an amazing scene of long lines of rail cars being sorted and connected to locomotives in the foreground, with the glow of blast furnaces from the nearby mills in the distance. The Gateway Yard opened in 1957, and I must have visited it within five years of it opening. The facility operated until 1993, when CSX shut it down. Passenger rail service also was an important means of transportation growing up. I served as a safety patrol boy for a couple years in elementary school and there would be annual Safety Patrol Days at Municipal Stadium in Cleveland. We would take the Erie Lackawanna line from downtown Youngstown for an hour or so trip to downtown Cleveland, see the Indians play, and then ride back to Youngstown. These were the only times I ever rode a train between cities, other than an round trip on Amtrack between Toledo and Cleveland in the 70s. I’ve often wished there were trains between Columbus, and places like Cincinnati, Cleveland, Pittsburgh, and Chicago, places I visit often. I loved the sound of the cars on the rails and the smooth gliding sensation. The Baltimore and Ohio played an important part in my wife’s family history. Her mother and grandmother arrived in Youngstown on the B & O in the 1920s, coming from Johnstown, PA. Her mother told the story of being permitted by the stationmaster to sleep on the benches in the station because they had arrived in the evening and had no place to go. Years later, when her mother turned 80, and the station had been converted to a restaurant, we surprised her by taking her there for her birthday, and everyone in the restaurant heard that story! Many of the old train yards have now been torn up, going into oblivion with the steel mills they once served. There is still rail traffic in the area, particularly serving the General Motors complex at Lordstown, northwest of the city. Genesee and Wyoming operate several short rail lines in this area including the Youngstown Belt Railroad, the Youngstown and Austintown Railroad, the Mahoning Valley Railroad, and the Youngstown and Southeastern Railroad. These in turn connect with CSX and Norfolk Southern lines, national rail carriers. The Mahoning Valley Railroad Heritage Association keeps the history of Youngstown’s railroads and their connection to the steel industry alive, including displays at the Western Reserve Village during the Canfield Fair. 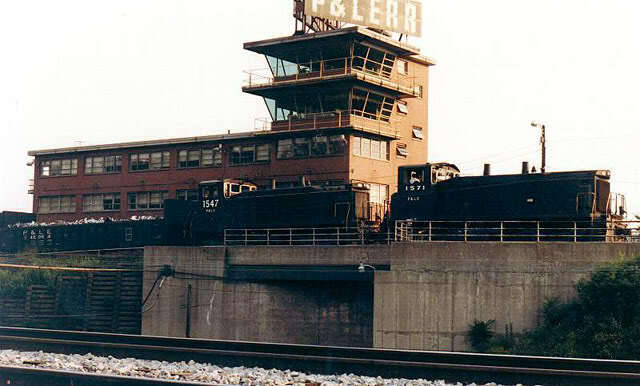 What are your memories of railroads in the Youngstown area? Did you have relatives who worked for the railroads and what was this like for them? Thanks, Joyce. I’ve enjoyed hearing all the wonderful memories of others.